Pfc. 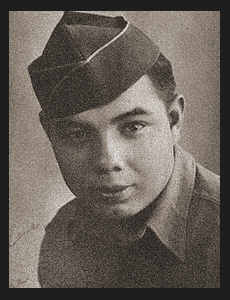 George S. Lopez, son of Mr. and Mrs. Paul Lopez, attended school in Elmore City.Entered Army in Oct., 1943, trained in Ft. Sill, Camp Gruber, Okla.; went overseas in Nov., 1944, served in France,Germany and Austria where he is now on duty. Awarded ETO Ribbon with three Battle Stars, Victory Medal, Combat Inf. Badge.